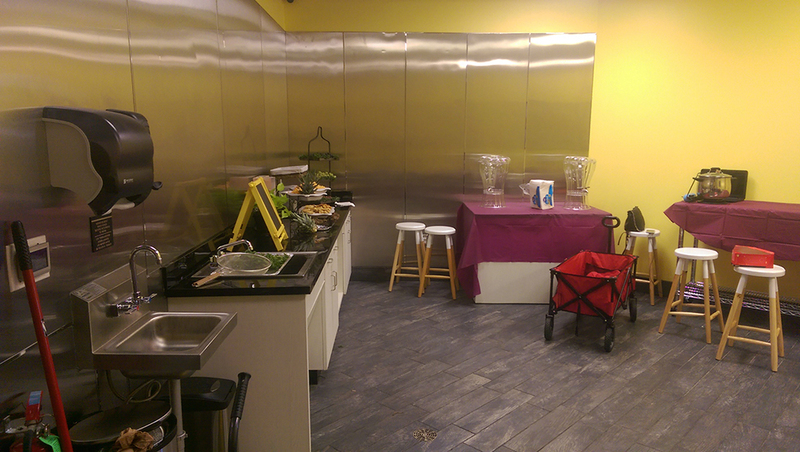 Our event room at The Cookline is the perfect place to take your culinary business to the next level! 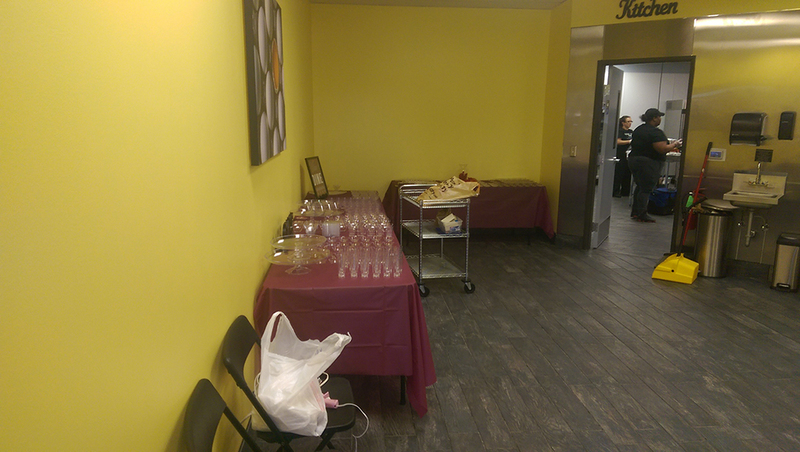 Designed for the convenience of our clients, this event/tasting room is just off of the kitchen and can be used for a myriad of different purposes within your business. The tables and chairs can be moved around to accommodate whatever scenario you have in mind, and the small prep space and culinary-themed décor make this room the ideal place to gather and welcome both friends and colleagues. This room provides a lovely option for hosting that small pop up restaurant that you are finally ready to launch. You’ve put in all of the hard work but always come up short when it comes to finding a place to house your guests. Perhaps you have always dreamed of teaching a cooking or canning class but never had the functional space necessary to make it happen. This room is your solution. There are many local chefs who are in need of a professional setting to have a tasting meeting with a prospective client. These culinary artists are seeking to win the client over with their amazing food, and there is no time to worry about finding a room or space that is accommodating to such a meeting without taking away from the dish itself. 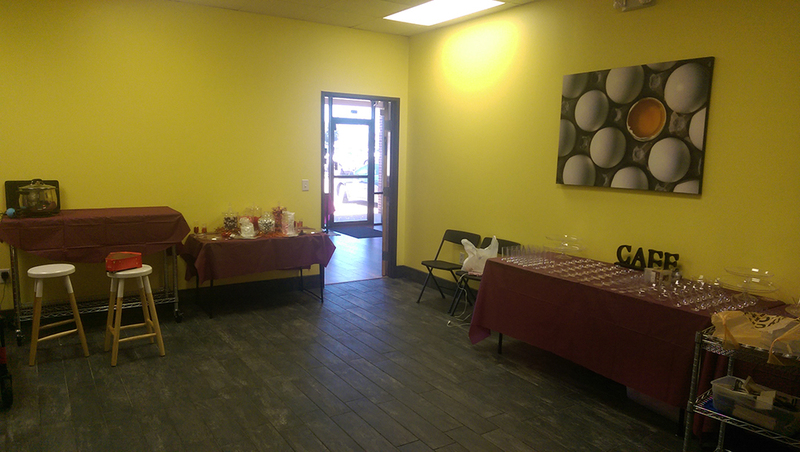 This event room is a clean, ready-to-go option that radiates comfort and professionalism. It also provides just the right spot to host a rolling open house to launch your new business or introduce your new product. Since our event/tasting room can be configured several different ways to accommodate your event, there is no need to haul in extra tables and chairs. The furniture can be manipulated and set to make a small meeting with just a few people feel very cozy. Or, alternatively, if you are setting up for a pop up restaurant or full cooking class, the room can seat approximately 30 people. 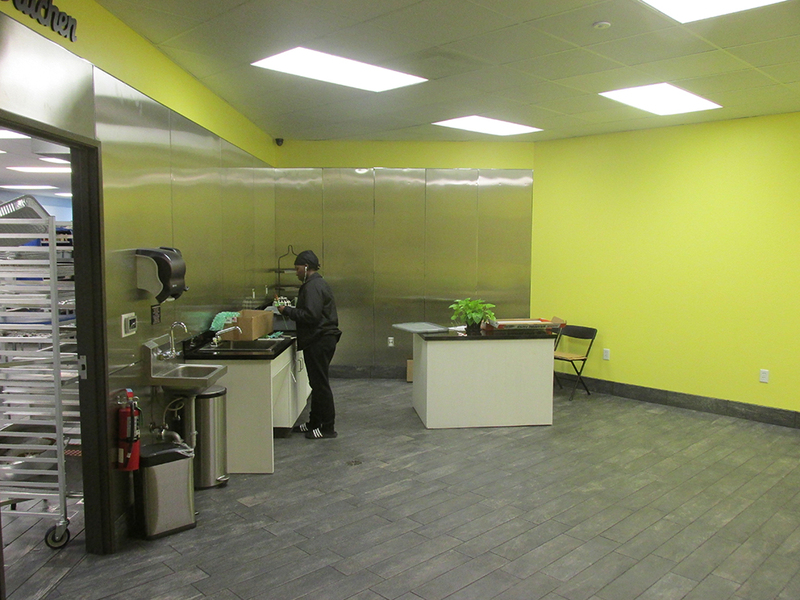 The versatility and practicality provided in this room make it a huge advantage to be considered for potential renters of our facility at The Cookline. 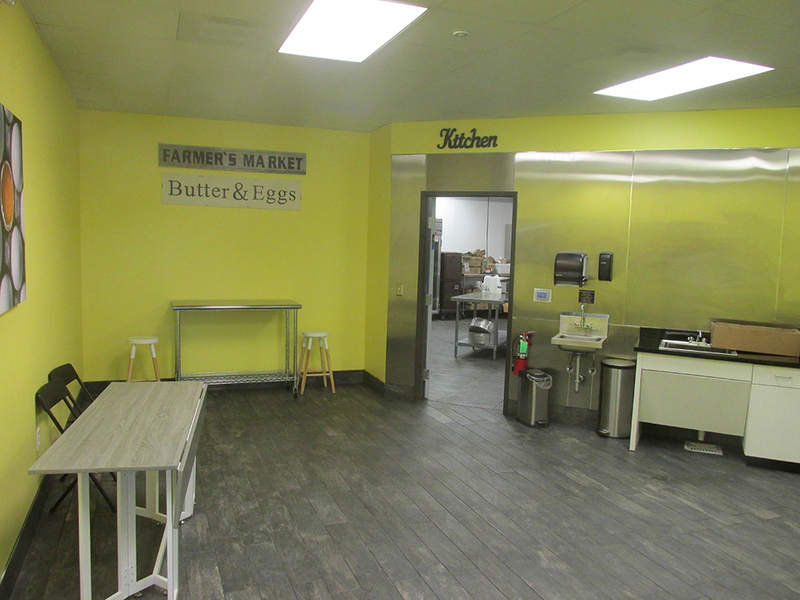 With an expansive and fully functional commercial kitchen just around the corner, this event room is just what you’ve been needing to further your culinary endeavors. You can enjoy the cooking portion of your business and rest in knowing that we’ve taken care of the hospitality factor for you. 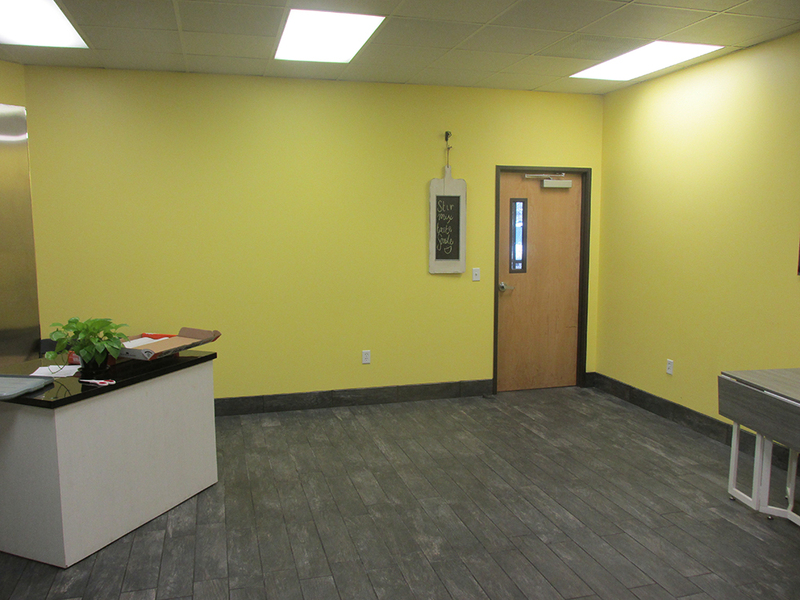 Give us a call today to learn more about renting space at The Cookline and making our event room your new professional hub!